The 'Keeping Up With The Kardashians' star endorses the LuMee smartphone case - the design of which a rival company is claiming was stolen from them. Kim Kardashian is being sued for $100 million for endorsing LuMee smartphone cases after a rival business claims they ripped off their design. 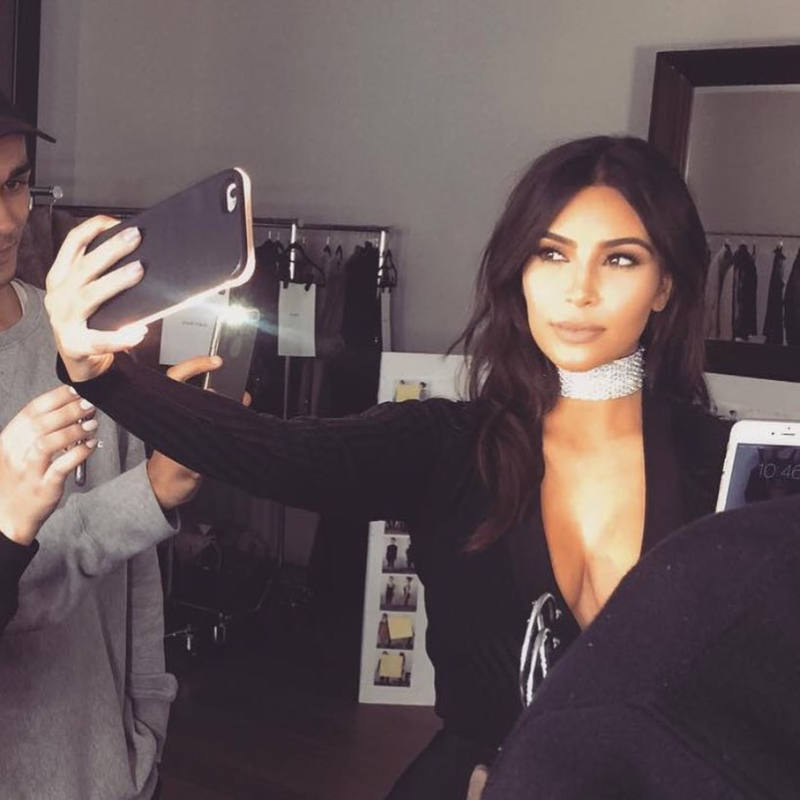 The reality TV star's company, Kimsaprincess Inc., has been hit with a patent infringement lawsuit by Snap Light who claim they created the first illuminating selfie case, and that LuMee stole their idea. According to TMZ, a man called Hooshmand Harooni claims that he patented an "integrated lighting accessory and case for a mobile phone device" back in 2013. Snaplight and Harooni claim LuMee stole their patented technology and stacked the odds against them after teaming up with a global trendsetter like Kardashian. The mother-of-two regularly plugs the LuMee phone case across her social media pages, claiming it allows her to take the perfect selfie. However, court documents obtained from the lawsuit reportedly show that SnapLight claim Kim is getting a cut of LuMee's earnings, prompting them to ask her to stop promoting the brand. Snaplight are reportedly asking for $100 million in damages to make up for their lost profits. Following this, Kardashian-West's rep issued this statement to TMZ regarding the lawsuit. 'The patent lawsuit filed by Snap Light has no merit and is just another attempted shakedown. Kim has done absolutely nothing wrong." Kim is yet to respond directly to the claims.